These are the candidates that I’m personally endorsing for Berkeley races. I have spoken with them and/or received answers to my questions and have been incredibly impressed by their qualities. As I look at the list, I can’t help but note that all my recommendations are for men. This doesn’t make me happy, and yet it’d be utterly sexist of me to chose a woman just because of her gender. I will note that in the School Board race there are two women running who seem capable and caring, and who are very well thought of by all Berkeley politicians I’ve spoken to. I am not recommending them because one of them just did not impress me as much at the Democratic interview – though it may have been more her manner than her answers – and the other is very close to the Bates machine. I have seldom met a candidate with the commitment, energy and plain force than Alejandro Soto-Vigil exudes. He is young, in his mid-30’s, but I would describe him as an old-fashioned liberal, a Latino version of a young George Miller, Ron Dellums or Barbara Lee. At a time when politicians reflect the values of those who fill their coffers, Soto-Vigil stands for the poor, the disenfranchised, young families, students,Berkeleyans. I had a long conversation with Alejandro, and I am confident he has both the education (political science degree from Cal, followed by law school), experience and clear policy thinking to make him succeed both at the City Council level and beyond. I also think that he will be listen to the community and bring new ideas to the table. Kriss Worthington has been in the Berkeley City Council forever, and yet Berkeley deserves to have him there for even longer. He is currently the leading liberal voice in the city, taking the side of residents against the benefits of developers. His opponent, Sean Barry, who has the support of Mayor Tom Bates, is not ready for the position. His inability to answer some of my questions – he had no idea what Urban Shield was, for example – made me wonder whether he actually reads newspapers. I wish I lived in Berkeley District 8. Not only is it beautiful there, but it would mean that I’d get to chose between three great candidates. Of the three, George Beier stands up for a couple of reasons. First, he is not afraid to stand up for his beliefs, even when it goes against the interests of his allies. Second, his answers to my questionnaire for city council candidates were among the best I’ve gotten from all candidates. They showed that he is clear about his principles, and he knows how to think about the issues critically and analyze possible consequences. Finally, the Berkeley City Council is strongly divided between the Tom Bates camp, with 5 members, and the liberal camp, with 3. Unlike his opponents, George is not supported by either faction, which would allow him to be the bridge builder and swing vote that the Council really needs. I had the opportunity to hear all the candidates at the Democratic endorsements. I also spoke with a couple of them, and received answers to my questionnaire from two of them. I was particularly impressed with Alper and Daniels. Ty Alper is a social justice attorney who runs Boalt’s death penalty clinic. He is also the father of three kids attending Berkeley public schools. He is intelligent, definitely committed to education as the way of lifting children up, a clear thinker and someone who will bring a different perspective to the Berkeley School Board. He is endorsed by liberal lion Robert Reich, among others. I very much appreciated how well thought out the answers to my questions were, and how Ty believes in data-driven solutions, rather than on suppositions. I believe his analytical approach, and his persona experience both as a lawyer and as a current parent at Berkeley schools, will enhance the quality of the decisions made by the Board. 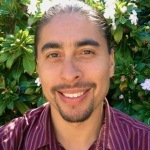 Josh Daniels is a young education attorney and current President of the Berkeley School Board. I was impressed by his approachability, understanding of the challenges, and progressive values. He seemed the candidate most committed to understanding and honoring diversity, while taking the needs of different student groups into account. I also thought he was the most energetic of the incumbents and the one who had the most comprehensive view of the issues, perhaps because he is an education attorney. He had great answers to my questionnaire. I reached out to all candidates for Berkeley City Council and School Board and invited them to meet/speak with me and/or respond to a candidate questionnaire. I only endorse candidates who are strong liberals, are committed to accountability, transparency and fact-based legislating and who are intelligent, competent and knowledgeable. Other Berkeley Endorsement: Tony Thurmond for Assembly.